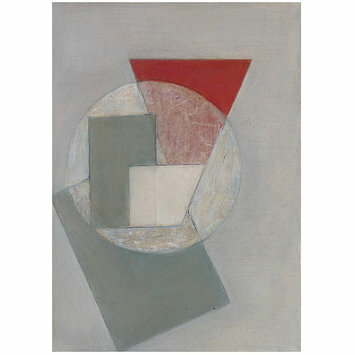 Collage and chalked paper entitled 'Collage with Red Triangle, II'. Signed by the artist. 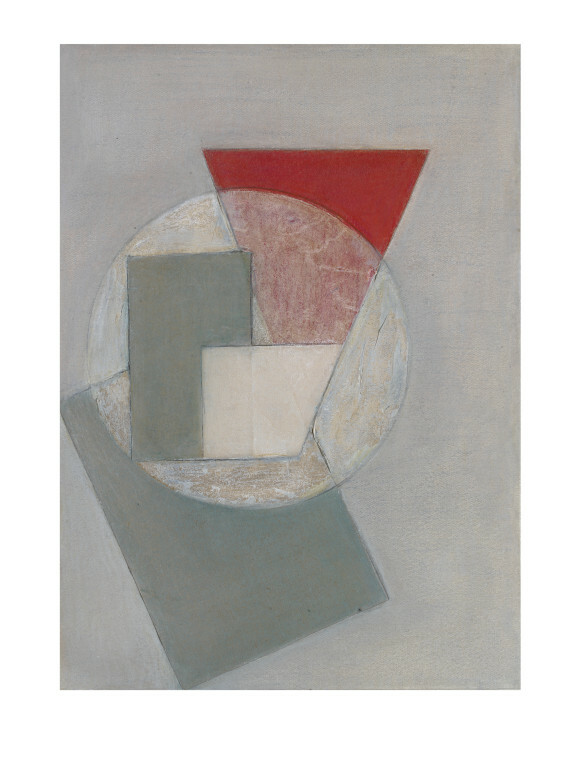 Almost identical work was sold at Sotheby's Olympia on 4 July 2002 for £8,500. 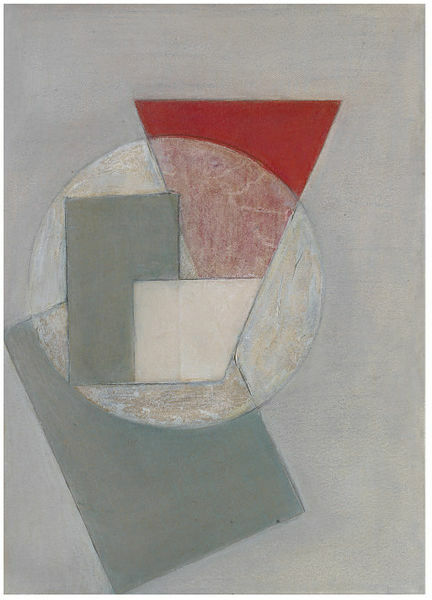 Collage and chalked paper entitled 'Collage with Red Triangle, II' by Margaret Mellis. Great Britain, 1940. Sarah Bacon, ed. Margaret Mellis: a life in colour Norwich: Sainsbury Centre for Visual Arts, 2008. 84p. ISBN: 978-0-094-009-596.